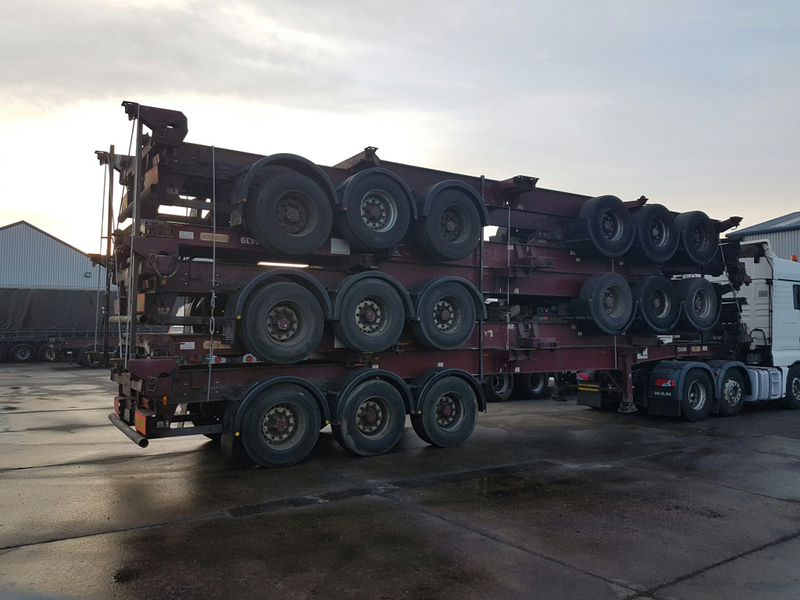 In January 2017, we shipped five Skeleton container-carrying trailers to Dar-Es-Salaam in Tanzania. 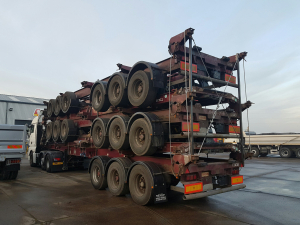 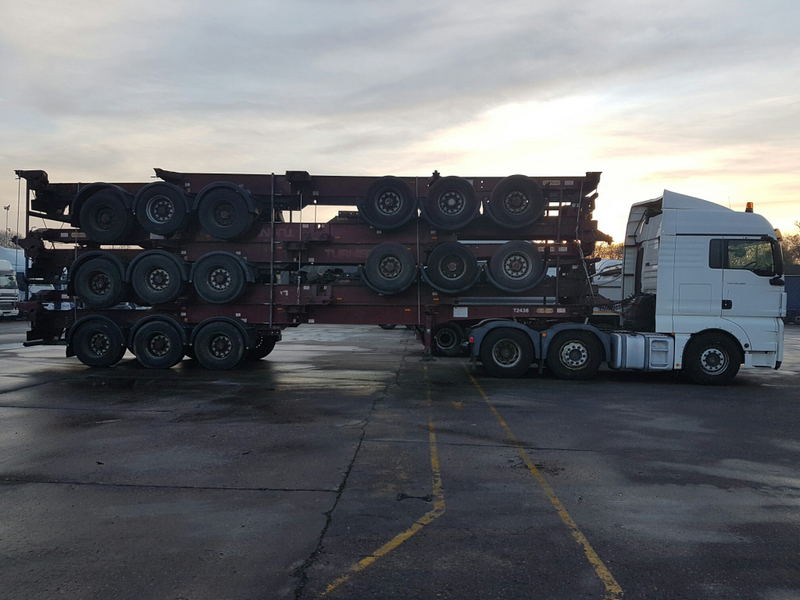 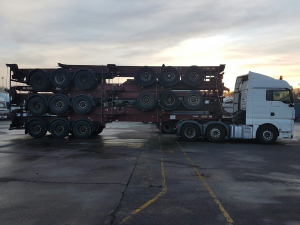 You'll see from the images that we were able to stack the trailers five high in order to reduce the height and keep the shipping charges as low as possible. 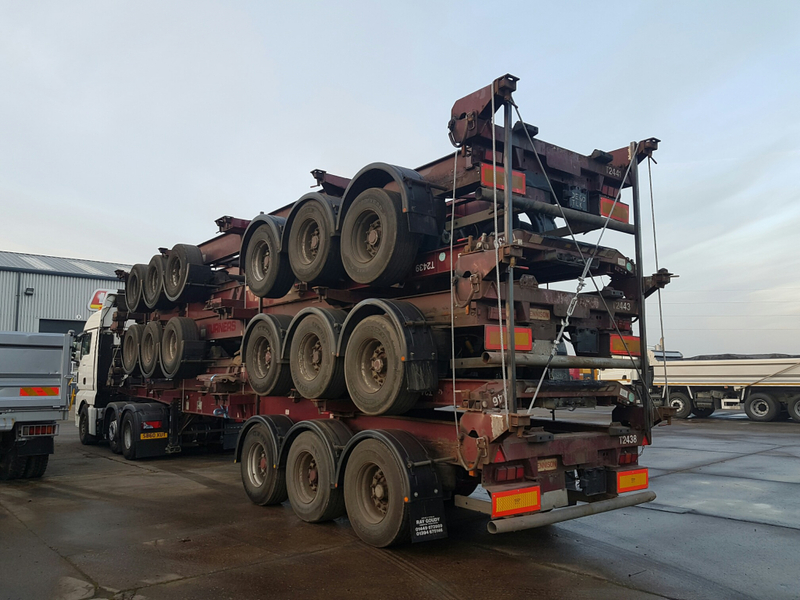 We bonded the trailers together with high strength steel cables and tensioners to ensure they didn't move in transit. 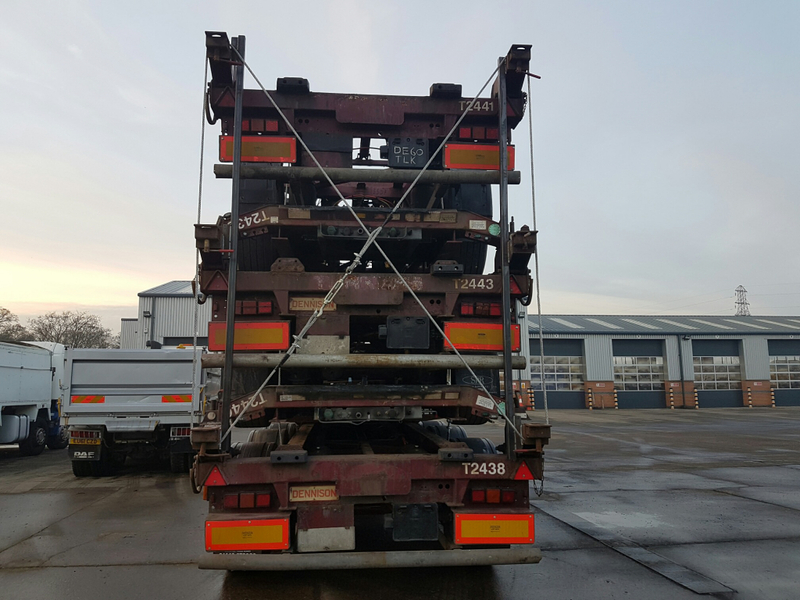 In this particular case we were able to save the customer in the region of £4,500 in comparison to the cost of shipping them separately.